For a very long time, ask anyone you know, Oklahoma has always been stringent when it comes to drug possession and trafficking charges. You may be surprised by the number of people who spend their days incarcerated for these drugs and other non-violent crimes. It becomes worse for offenders with addiction problems since they easily fall back into the same menace over and over again. Samantha Houston-Brown, a mother of four, has repeatedly been in and out of prison. She has been arraigned a couple times; she even gave birth handcuffed to a hospital bed, all in the cunning hands of addiction and the mighty stringent drug laws of Oklahoma. At her early 20s she was already into drugs and by 26, she was fully addicted to meth. She was recently charged with drug-related offenses that would see her gamble the rest of her life behind bars. Houston-Brown is just a typical woman addict in Oklahoma. Through her defense attorney, Houston-Brown was sent to Women in Recovery, an intensive outpatient alternative for eligible women facing long prison sentences for non-violent, drug-related offenses. Her attorney persuaded the Tulsa County prosecutor as well as the judge that Houston-Brown’s condition was more of an addiction problem than a criminal behavior; an addiction to methamphetamine to be specific. If they had pursued with the charges they would have seen her age ungracefully in prison. Now, eleven months and counting, Houston-Brown is now sober, employed and enjoys regular visits from her oldest daughter, Breanna Delozier. Thanks to Women in Recovery. So far, more than 200 women have benefited to full recovery from the program. Most people in authority, including the state governor, Mary Fallin, describe the benefits as what they visualize Oklahoma’s criminal justice to be like. How hard is it? With the constant bungle from police officers and the justice system and the strict laws on drug-related charges makes it really hard to facilitate such programs. Prisons have now become overcrowded to a crazily 112 percent of its capacity making it the country’s second highest. It is saddening that half of those were incarcerated for drug-related and other non-violent charges. As compared to any other state countrywide, Oklahoma incarcerates the highest number of women at a disturbing rate of 142 for every 100,000. Of that, about 65 percent were convicted of the non-violent drug offenses. Incarceration of these women that were initially nonviolent people makes them more criminal because of the kind of company they surround themselves with, and that have done far worse things as compared to them. A majority of these women in Oklahoma’s prisons are children of divorced parents who were addicted to drugs. Also, many of them were abused while they were children, most of them are unemployed, and approximately 85 percent are already mothers, says Amy Santee, a senior program officer of the George Kaiser Family Foundation that helps in the administration of Women in recovery. It is a cycle and it is a high time to break this cycle. Reduce mandatory minimum punishment for drugs possession charges, reducing the maximum sentence which was life imprisonment. Felony threshold for property crimes hiked from $500 to $1,000. Broaden use of drug courts as well as community treatment. Entrust prosecutors with the discretion of treating certain charges as misdemeanors rather than felonies. Kris Steele, the former speaker of the state House first encountered the perturbed criminal justice system in 2009 when he was chosen, speaker. Being the chief budget writer at the time, Steele perceived the problem more of a fiscal liability. He was later on dismayed by the spending by the Department of Corrections of about 172 percent within the past two decades. Slowly, he identified the human aspect in the criminal justice system, and there is where it all sparked. By 2009, Women in Recovery was running and Steele was among the first visitors. He greatly supported the course of Women in Recovery affirming to it as an outlet that stops the great surge of drug users that are pouring into Oklahoma’s prisons. The program does not admit women that have violent convictions of any type. Rather, it targets women at their most vulnerable states of drug addictions like Houston-Brown was. The crimes alleged to these women also should have occurred within Tulsa County. To be admitted, the judge must approve a recommendation through representatives from Women in Recovery, the offender’s attorney, and the Tulsa District Attorney’s Office. The recommendation is generally a plea for consideration of a woman being fit for the program. If approved, treatment lasts for about 14 to 18 months and the offender gets her sentencing dismissed or deferred enabling them to serve conditions of the sentence outside prison. Inside Women in Recovery, Lacie Maytubby, 35, a mother of two, relates parallel to Houston-Brown’s story. She though, had never been in prison, but her addiction to heroin and opioids was alarming. She remorsefully contemplates how her addiction had kept her away from her parents most of her adult life. Her addiction had also cost her the slimmest chance she had to spend with her father who was battling cancer in his last stages. When she thought she had enough courage, on her way to hospital to see her dad, she pulled over for a quick high. By the time she reached hospital he was already gone! Maytubby lived a very sheltered childhood with conservative parents that homeschooled her with higher regards for religion; considering her mother was a Jehovah’s Witness minister. She would do anything for some sense of freedom. By the time she was 15, she would sneak to a nearby skating rink and try cocaine. She took great pleasure in this because it was the only thing she ever did on her own. By age 16, her parents discovered she was into drugs and kicked her out. In the years to come she quickly become addicted landing her first arrest in 2001, when passed out while driving. Emma, her oldest daughter, was two years then was still in the car seat. Fifteen years later, she shares her story with other women during their group therapy. Now Houston-Brown and Maytubby are soon graduating, having undergone regular drug tests, have been sober throughout the program, wait for their sentencing fates. We cannot rule out completely that they will never be back to the criminal justice system. Women in Recovery boasts of a 5 percent recidivism rate of people who have been through the program as compared to 14 percent re-offense rate of those that are handled by the Department of Corrections. 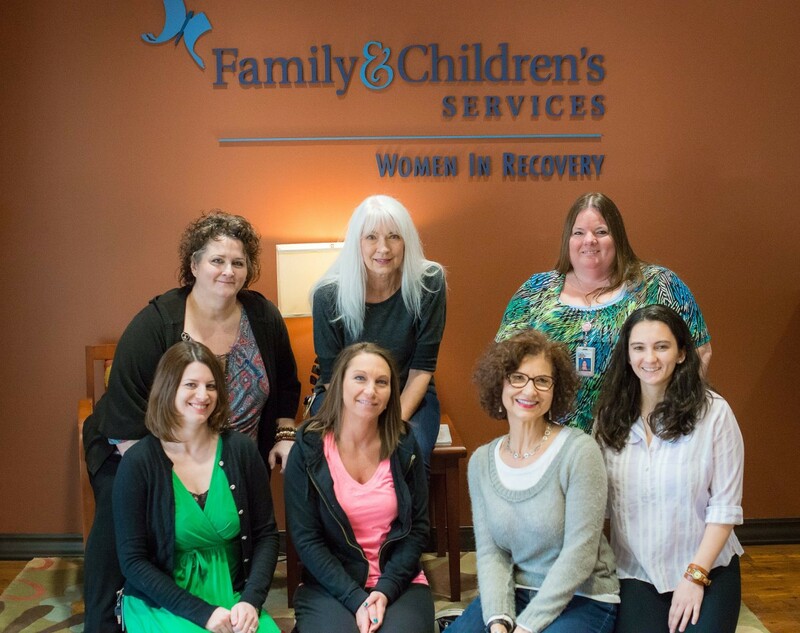 Earlier in the year, Women in recovery won the Excellence in Addictions Treatment Innovation award, beating more than 1,000 entrants, from the National Council for Behavioral Health.